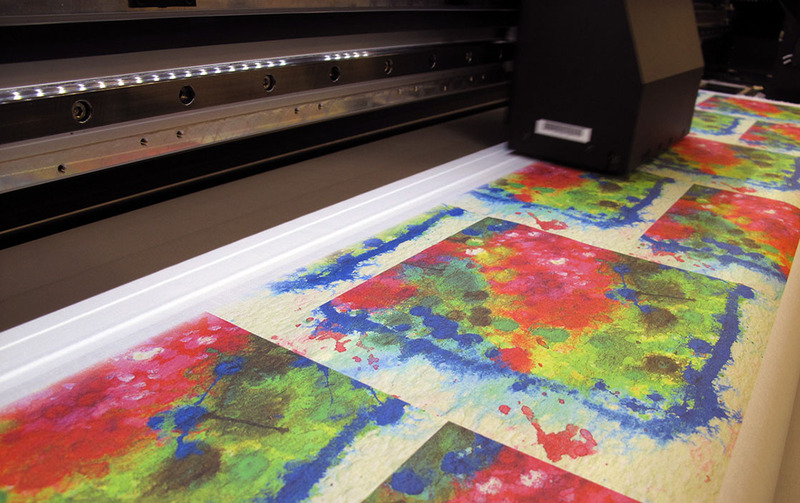 We love digital fabric printing! At Woven Monkey we digitally print all our fabric at our studio in Derbyshire. We start off with the base fabric, which is either a white or off white cotton. This is then fed through one of our specially adapted wide format printers, where all the colours including any background colour are printed onto the material. 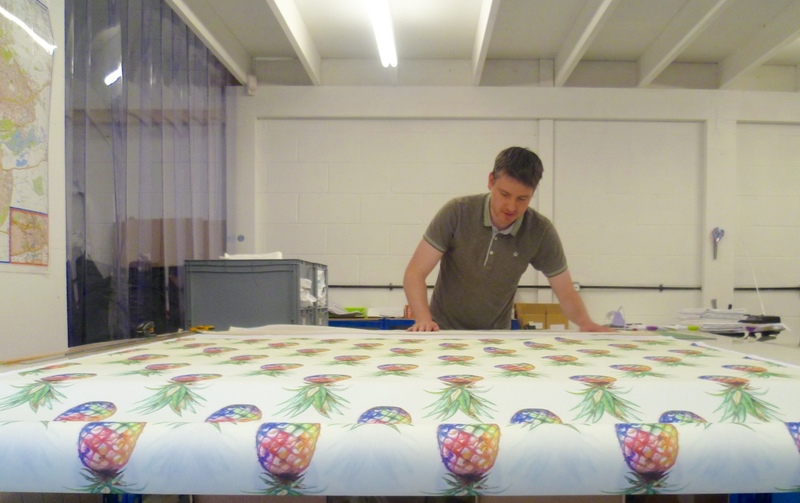 We pride ourselves on our print quality, which is why we spend weeks testing each fabric ensuring we achieve a result which is as close to your artwork as possible. We use a pigment ink printing process to create your custom fabric. The advantage of using pigment inks is the process minimises the amount of wastage which is produced during printing. Also with digital textile printing you can produce very intricate designs, which simply wouldn't be possible using any other method. Recently we've also added polyester fabrics to our range: active lycra, faux linen FR, georgette, jersey, satin, scuba stretch, soft canvas & soft velvet. With our polyesters your fabric is still created using digital fabric printers, but by a different process called dye sublimation.